I read this article and found it very interesting, thought it might be something for you. The article is called Ameraucana Chickens and is located at https://www.chickencoopguides.com/breeds/ameraucana-chickens/. When you’re thinking about starting or expanding a flock of backyard chickens, it’s extremely important to choose the right breed for your situation. You may want to consider Ameraucana chickens, an American domestic breed developed from the Araucana breed. One of the most interesting Ameraucana chicken facts is that the hens lay beautiful blue eggs. There are other distinguishing features as well. 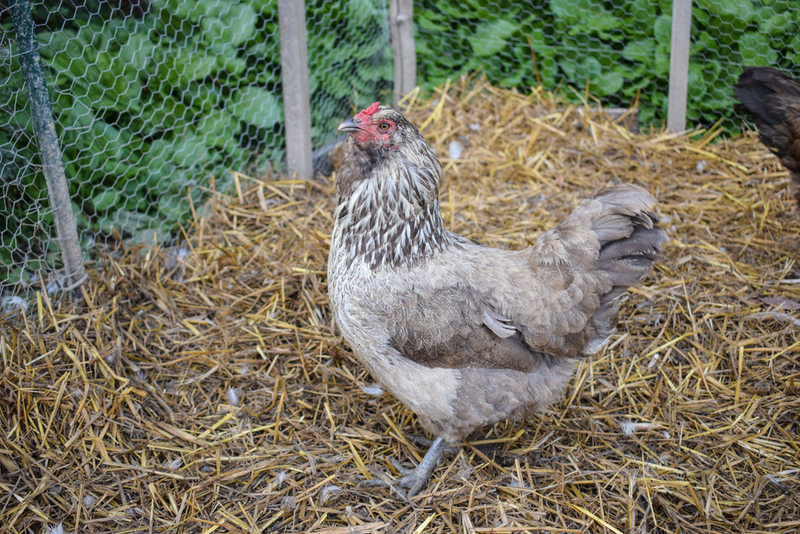 Here are more things to consider when raising backyard chickens. Ameraucana chickens were developed from the Araucana breed native to Chile. They maintain the blue-egg gene of the parent breed but don’t have the tufted and rumpless lethal genes. They’re tailed and have muffs and beards with red earlobes, wattles and combs. There are eight separate color varieties recognized by the American Standard of Perfection. No matter how large your backyard flock is, it’s extremely important to make sure you have proper housing to keep your chickens healthy and safe from predators and weather. Chickens should have access to a snug coop for sleeping and egg laying and an outdoor area for roaming. Some people allow their chickens to have completely free range of an entire yard or pasture whereas others fence a smaller section for the chickens to roam. Either way, Ameraucana chickens enjoy having space to wander around and supplement their diet with plants and insects. A chicken tractor is another option. It’s essentially a moveable fenced area (usually on wheels) that allows you to transport the chickens around to different areas of your property. Changing locations prevents chickens from destroying the ground and allows the manure to be used as fertilizer. Ameraucana chicken eggs are a beautiful blue color and are one of the main reasons people enjoy keeping a backyard flock. Access to a nice coop is usually enough to encourage your chickens to lay their eggs inside so they’re easily accessible. There are different views about whether fresh eggs need to be refrigerated, as the natural “bloom” on the shell serves as a barrier to spoilage. However, there is no harm in washing and storing eggs in the refrigerator if desired. Should You Keep a Rooster? If you raise your Ameraucana chickens from chicks, chances are you’ll have at least one male and you’ll have to decide if you want to keep a rooster or not. Roosters can be aggressive and are notoriously loud, so they may not be a good choice for a flock in a suburban area. However, if you want to raise chicks to sell or to grow your flock, your hens need access to a rooster. Ameraucana chickens are a good option for a backyard flock. There are several beautiful feather colors, and they all lay stunning blue eggs. Researching Ameraucana chicken facts is a good way to determine if they’ll fit well in your flock. It’s also important to ensure you have an adequate housing situation for your chickens. Chickens should have access to a warm, comfortable coop as well as room to wander around for exercise and foraging. Whether you choose to keep a rooster in your flock or not, you can enjoy having hens as both pets and food providers.